Beautiful easel card Sassy, I like the image I like the added dress, the lovely lace and the flowers. 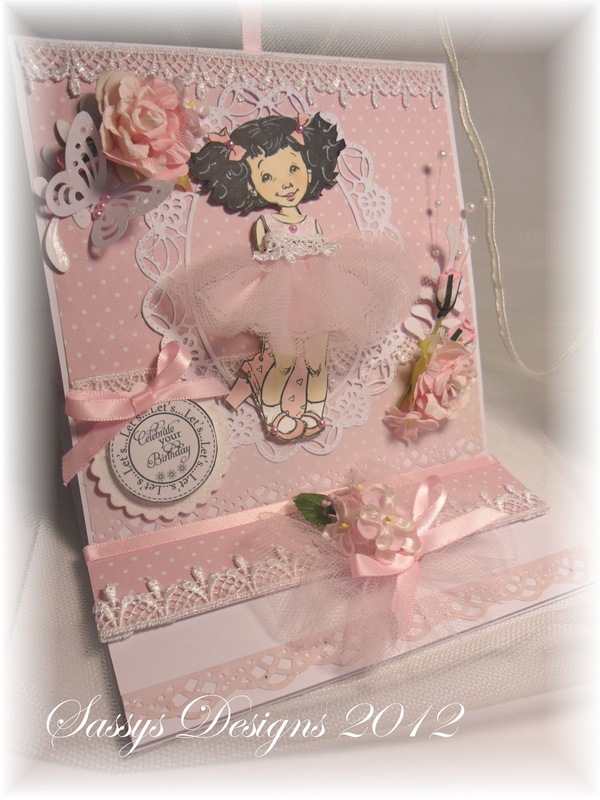 Your card is beautiful Sassy and I love her frilly skirt, so girly! A beautiful and gorgeous card. I LOVe, LOVe it. What a brilliant idea to use net for her skirt, and such gorgeous pink paper. Your embellies add the perfect finish. 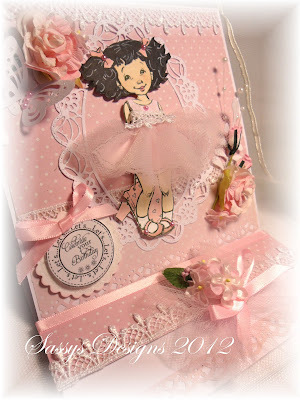 What a great idea to add the skirt like this, very dimensional , your whole card is fantastic Sassy. Gawd you're good!!! I wanne be like you when I grow down!! !